Here is a HOT printable coupon for Pillsbury Crescent Rolls, Sweet Rolls or Italian Meal Bread — $0.50/1!! Normally, you get a coupon for $0.25/2 or other values close to that – so I’d grab this while you can. 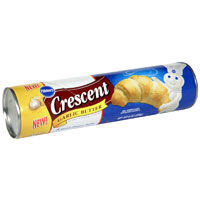 If your store doubles, this could make for some really cheap (or sometimes FREE) crescents!